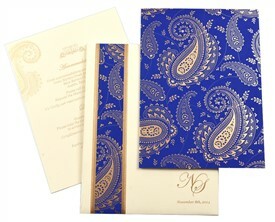 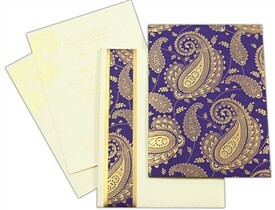 D-6086, Blue Color, Designer Multifaith Invitations. 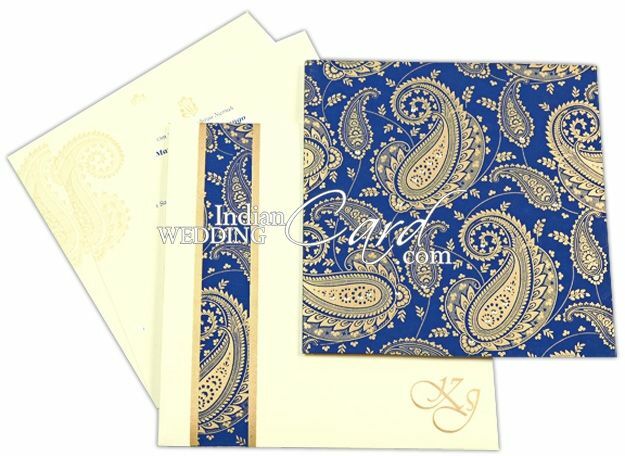 Royal Blue color grounded Cream paper for card. 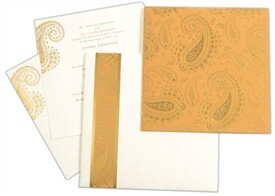 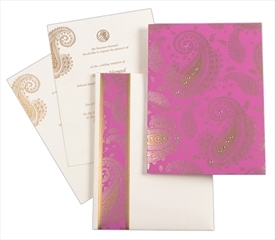 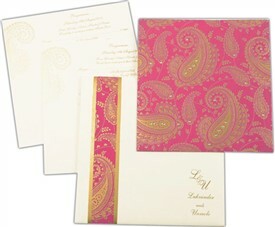 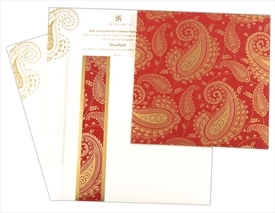 2 inserts, pocket and mailing envelope in cream paper. 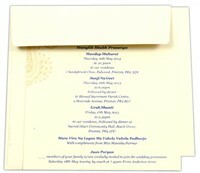 Tracing paper lining inside the envelope.